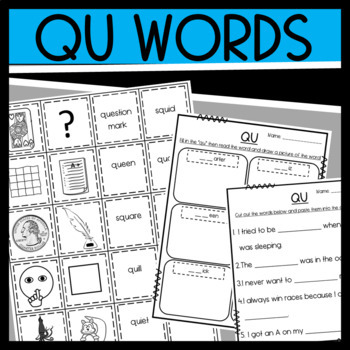 Resources to help students practice words that have "qu". Sort: cut out the pictures/words and glue matches on a separate sheet or play a matching game or memory game with the cards. 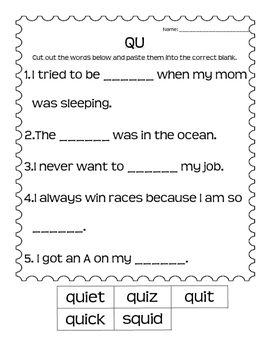 Sort: Cut out the "qu" words and glue them into the correct space. 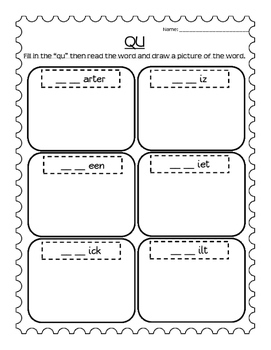 Read and Draw: Fill in the "qu" then read the word and draw a picture.